This LED colour combination is Green/Green. LED 1: This LED illuminates the custom icon only when the switch is in the ON position. 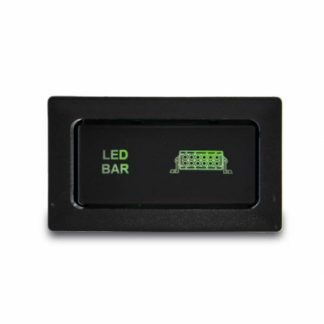 LED 2: This LED illuminates the custom text and is active continuously when the dash light circuit is active. 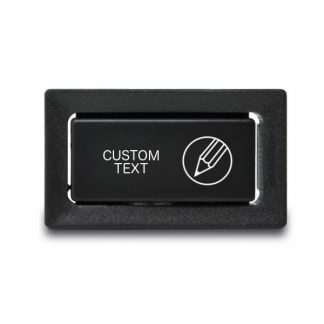 Individual switch suitable for Toyota 80 Series (may also be compatible with some pre-2005 Hilux models) without any modification to the original dash, maintaining the OEM look. Dependant on year theses switches can be fitted above and or below the heater controls and next to the steering column. 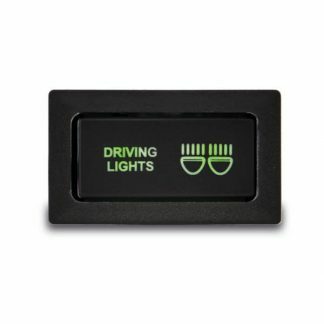 Dual LED illumination, first is activated via the existing vehicles dash light circuit, once the switch is pushed on the second LED is also activated.